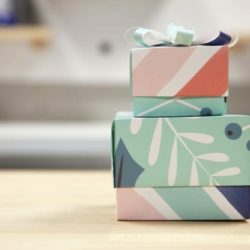 With the limited-release launch of Spoonflower gift wrap last week, we officially have gift-giving on the brain here at Spoonflower HQ! So what better to give away this week than a signed copy of Melody Miller's new book, Ruby Star Wrapping? Melody Miller is the designer of the popular "Ruby Star" fabric collections released by Japanese fabric company Kokka, and her quirky, vintage-inspired aesthetic comes through on the many projects in this new book co-authored with Allison Tannery. Gift-wrapping projects are organized according to the size, shape, and squishiness (or lack thereof) of the gift being given, and you'll find many creative ways of presenting your gifts using fabric, paper, ribbons, and other materials that are lovely, re-usable, and don't result in bag after bag of paper and refuse being dragged to the curb for disposal. If you'd like a chance to win a copy of this book dedicated completely to the wrapping and presenting of gifts, just comment below or on the corresponding Facebook post, and include your Spoonflower screen name so we can track you down easily if you're our winner. Entries close next Tuesday, 11/20 and we'll announce a winner on 11/21. Good luck, to you all! Last week, we gave away a roll of gift wrap to each of three winners, and those lucky folks were Christy Stephens, Tawny Regan, and Vickie Harmon. Congrats to the three of you, and we'll be in touch soon with details on how to collect your gift wrap! Yes Please! This giveaway looks great. Gift wrapping in a book is just plain heaven!!! What a great book. Spoonflower name is Koshakee. Great giveaway! 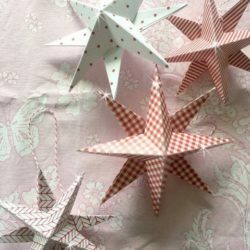 There are craft-a-longs with this book I’ve seen on the blogosphere and it would be fun to join in. I just read about this book yesterday- it sounds wonderful! this book looks really interesting, cute, and useful. 🙂 thanks for the chance to win! I am very excited about the possibility of owning this great book! Thank you! Omg!! Would love to own this and then use it! Throw chdallas in the hat, please! 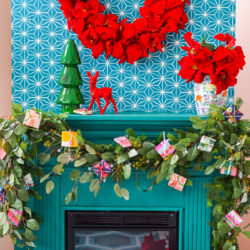 I love wrapping presents, so some tips on sustainable and cute designs would be top knotch. What a fantastic book, I know I would have to share it with my two sisters. Sounds awesome. I love the idea of sorting by squishiness. Spoonflower: tanith. Looks very inspiring! I love a pretty package! Thank you! Oo, ooh! Please pick me! Fantastic Book – Please enter me in your giveaway! Looks like a beautiful book! 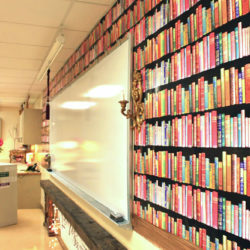 I design wrapping paper so I would love this for some inspiration. I’m in for a new great book, thanks for the contest! This book looks great and would be very inspiring. The book looks fantastic!!! Thanks for the chance to win another awesome giveaway!! Oooo….would love to win this awesome book!!! oooh – can UK people win? if so – meeeee! SF username: redannie! I went to the look inside option and not only are the ideas great, but I also loved the quotes and her sense of humor. Hope I win! Thanks for the chance. I love Melody’s designs, so I’ll bet the book is awesome. Thanks for the give away! Yes please! I’ll take 2! Send them to Elizabeth Cressy! Please select me – it looks wonderful! Yes please! I love these contests, they are so exciting! « Road to Quilt Market: Wrap-up!